Nothing can ruin an otherwise clean, organized, and well-decorated home or office than a stained, dirty, or worn carpet. Just like a professional whitening treatment can brighten and give new life to an otherwise healthy but dull and tarnished smile, a professional carpet cleaning treatment can make a weathered carpet or rug look as good as new, improving the atmosphere and aesthetics of your home or office in the process. 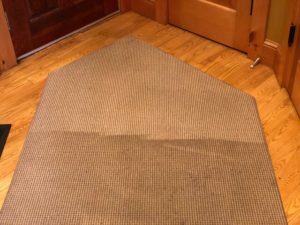 At Winnipesaukee Cleaning, we offer comprehensive carpet cleaning solutions aimed at improving the look and feel of your carpet! If you cannot remember the last time your carpets were cleaned, your home or office is probably well overdue for a thorough cleaning. To get started, please contact our offices at your earliest convenience by calling (603) 279-4769!